If you’re looking for Western Sydney security that you can trust, then CitiGuard is your best option! Whether you’re in Granville, St. Marys or anywhere in the Western Sydney region, CitiGuard got the best security for you, your family and your business. With five decades of experience in security services, we assure you that we have a vast knowledge of protecting what matters to you the most. That’s why CitiGuard is the proven name when it comes to security services Western Sydney residents trust. Security in Western Sydney – What can Citiguard do? For an experienced local security company Western Sydney people recommend, you demand the best alarms, security guards, round-the-clock monitoring, state-of-the-art CCTV, and so much more. The latest alarms: For the best security alarms on Western Sydney, you can assure that CitiGuard’s product is 100% Aussie made. And to really feel secure, ask about our back-to-base alarm monitoring. The most experienced security guards: We may do alarms better than the rest, but CitiGuard is also one of Sydney’s most experienced security guard hire services! Our guys are fully qualified, licenced and available on a permanent or short-term basis. The most state-of-the-art security cameras: Combine our experience with the latest and greatest security cameras, and Citiguard really is your best bet on the North Shore. Ready to explore our CCTV packages? Get in touch today. The most reliable security patrols: Western Sydney vandals and thieves be warned! With CitiGuard’s top-calibre security patrol service, rest assured that the region is safety is at its finest. We also solve the problem of forgetful staff members with our mobile lock-up service. The most impressive access control systems: Need unprecedented control over who gets access to your premises? Take your security systems to the next level with a state-of-the-art keyless entry access control system installation. Citiguard provides a comprehensive range of security services not only on North Shore. Other service area includes the Sydney CBD, Inner West, Northern Beaches, North Shore, South Western Sydney, Parramatta & Hills District. 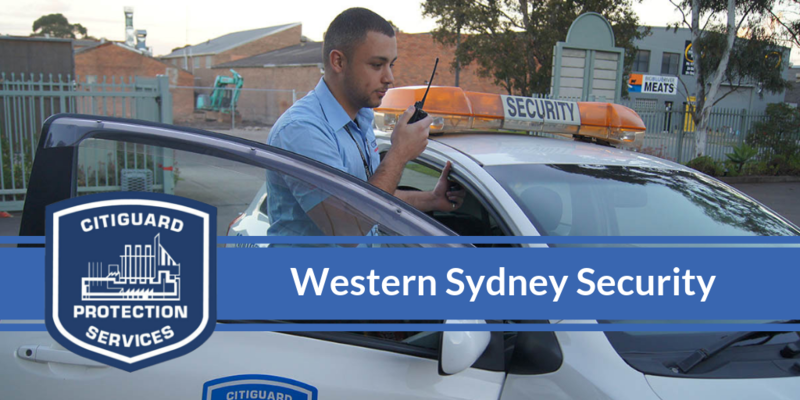 For serious peace of mind on western Sydney and beyond, ask our friendly staff how Citiguard delivers the absolute best in Western Sydney security services. What’s to be loved in Western Sydney? Discover the great Western Sydney and be amazed by its glamour and rich history! Home to UNESCO World Heritage convict sites and wilderness, the region will surely imprison you with its marvelous attraction and impart a piece of knowledge. The region also houses the Sydney Olympic Park where sports fans thrive. Truly, there are more ways to enjoy Western Sydney!